Hi. I’m Alexis and I’m a shopaholic. I’ll admit it. My husband will tell anyone who will listen. I’m not looking to go into a program to correct it anytime soon. The act of purchasing something, anything, brings me such joy…. 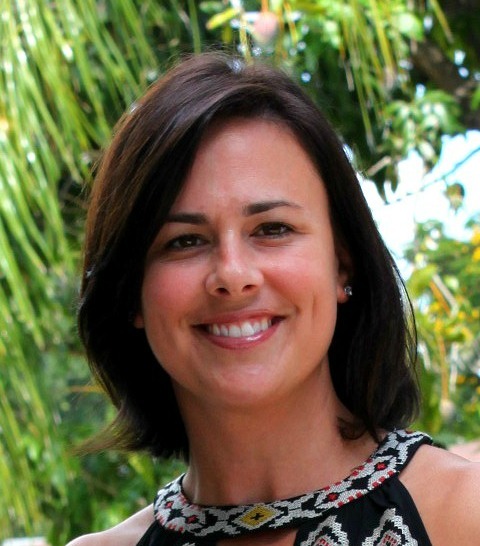 Once I learned that I was pregnant for the second time and we found out the baby would be another boy, I knew my days of pink bows, cute dresses and shopping trips were dying. No girly days for me…just tons of sweaty testosterone-y activities for this girl. 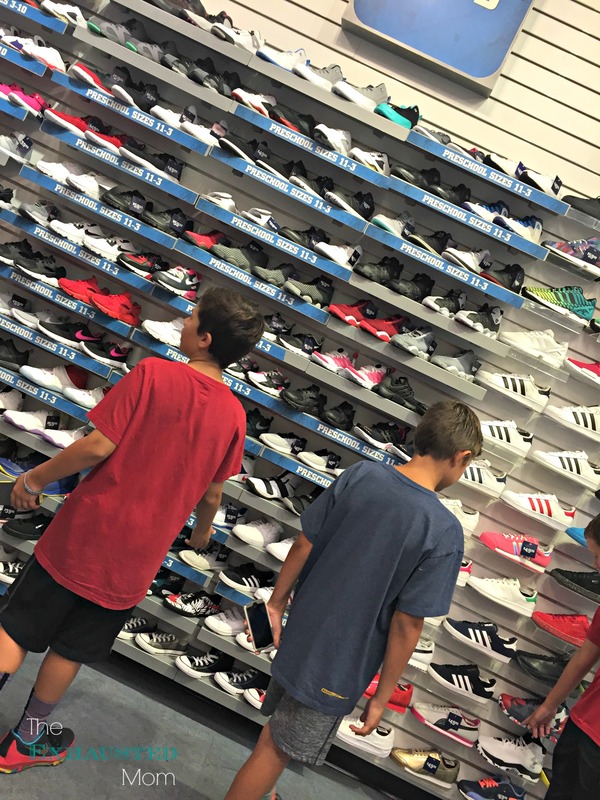 That’s why back to school shopping doesn’t have the same joy that it once did. Sure I love buying new pencils and paper. And I love checking things off the boys’ supply lists…doesn’t everyone? 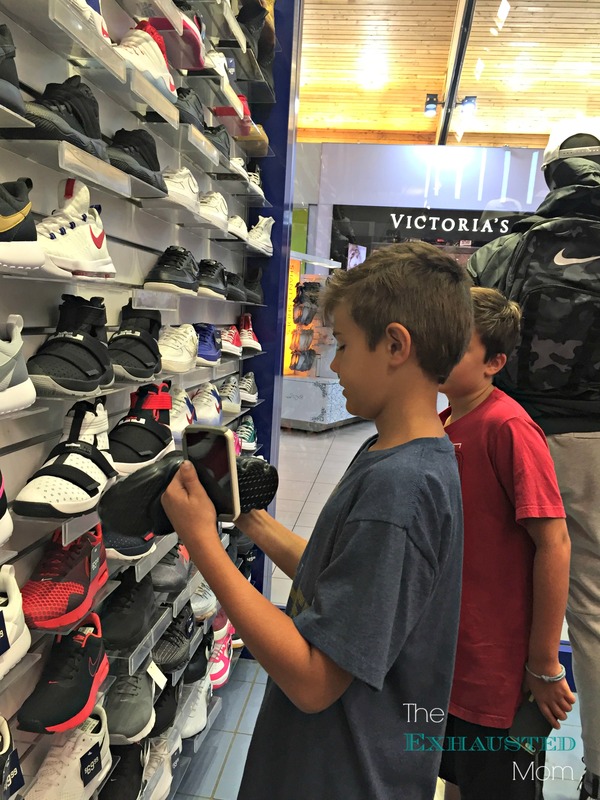 This year, we headed to Westland Mall in Miami for the clothing items on our back to school shopping list.You know, the shorts, pants and sneakers for school. 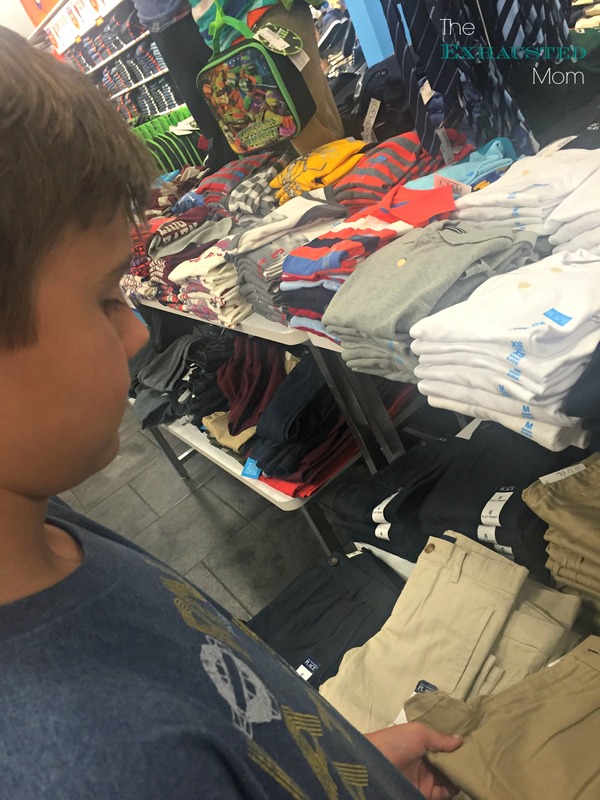 My kids wear uniforms to school, but I’m able to purchase the shorts in other stores other than the uniform store. We also have free reign on the shoes that they can wear. 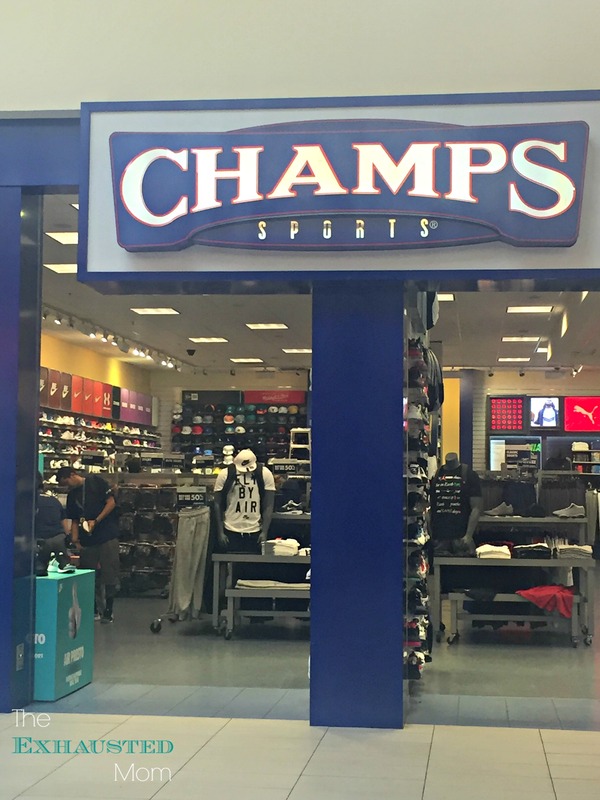 So, of course, we headed to Champs Sports to decide what sneakers they would get this year. This is something that was quick when I was younger since I just wanted sneakers that were pink. With boys this is a different animal altogether. Let me just say we spent over and hour in Champs alone! Kill me now…. 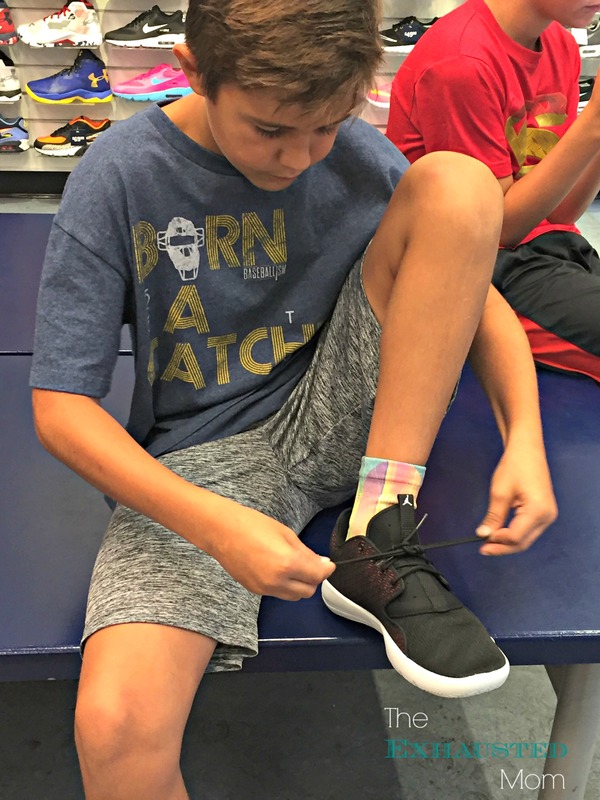 We started the experience by getting their feet measured to make sure they would get a shoe that was not only nice, but comfortable for them. I also like to get a half size up so they have some room to grow. Even though I’m not sure why I do that because they tend to wear them out before they ever grow out of them. Although in more recent years they are acquiring so many pairs of sneakers that match different outfits and activities, it’s beginning to rival my own shoe collection. Next up…shorts and pants to go with our uniform tops. 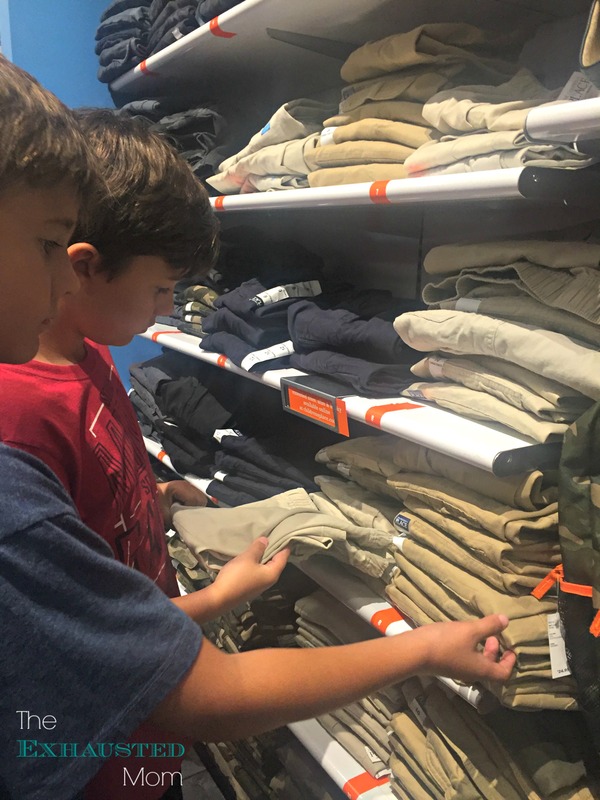 We headed to The Children’s Place where we’ve been shopping for khaki shorts and pants since they started school. I love that this time of year they have such a great sale for those very items! 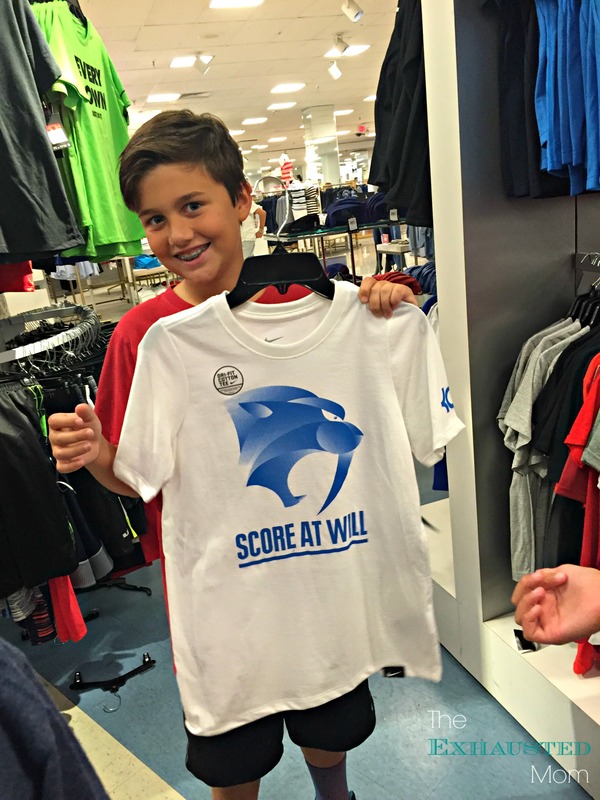 Macy’s is a great place to pick up the essential wardrobe pieces that my boys can’t live without…basketball shorts and t-shirts. They taste has moved past the preppy guys I was trying to form when they were toddlers. Maybe when they are trying to impress the ladies, they’ll switch back. A girl can dream, right? Just so that all was right in my little world, I had to get a little something for myself, OF COURSE! H&M was my spot…so many cute items for next to nothing prices. 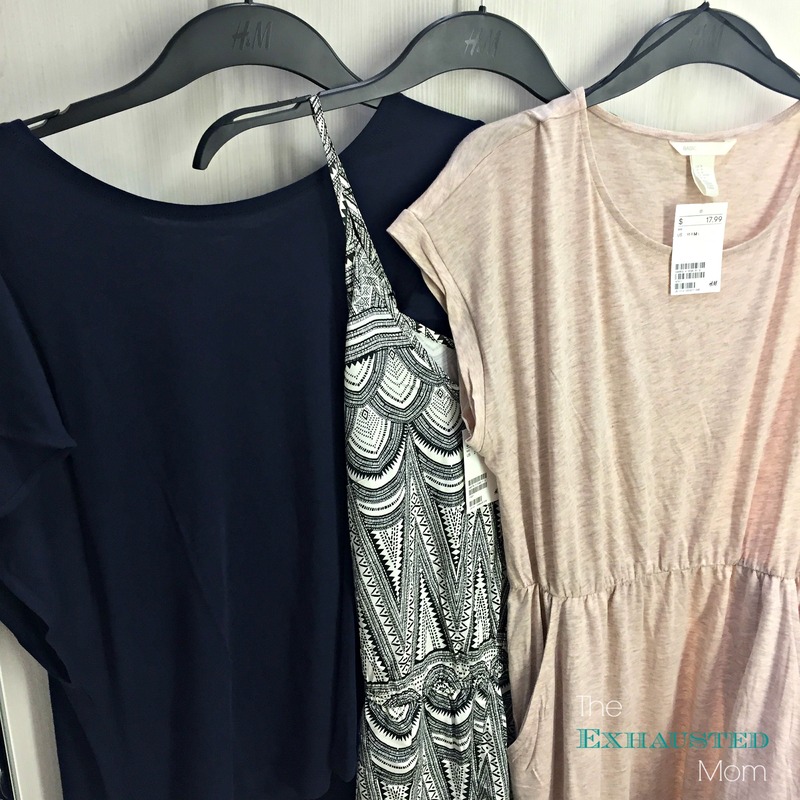 Momma needs some new duds for all the PTA meetings, right? Westland Mall is part of the Starwood Retail Partners. 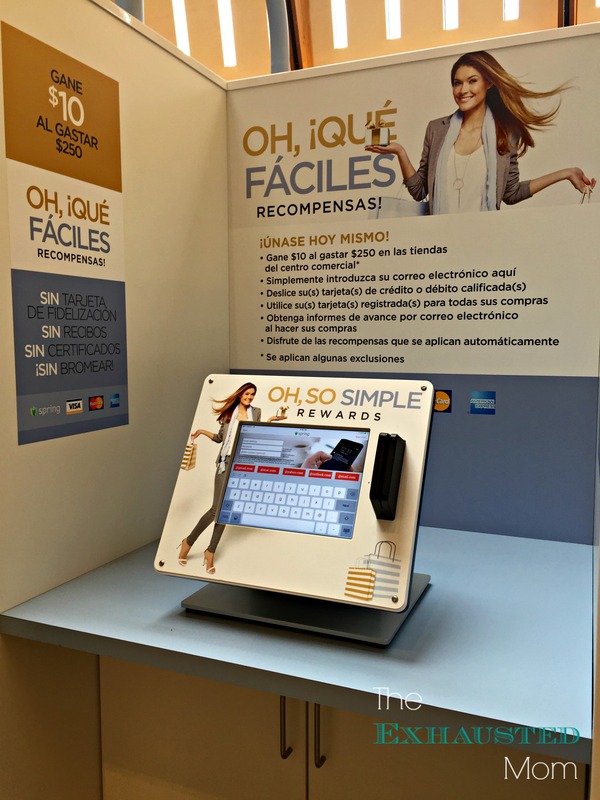 They have this new reward program called OH, SO SIMPLE Rewards. And it really is oh, so simple! 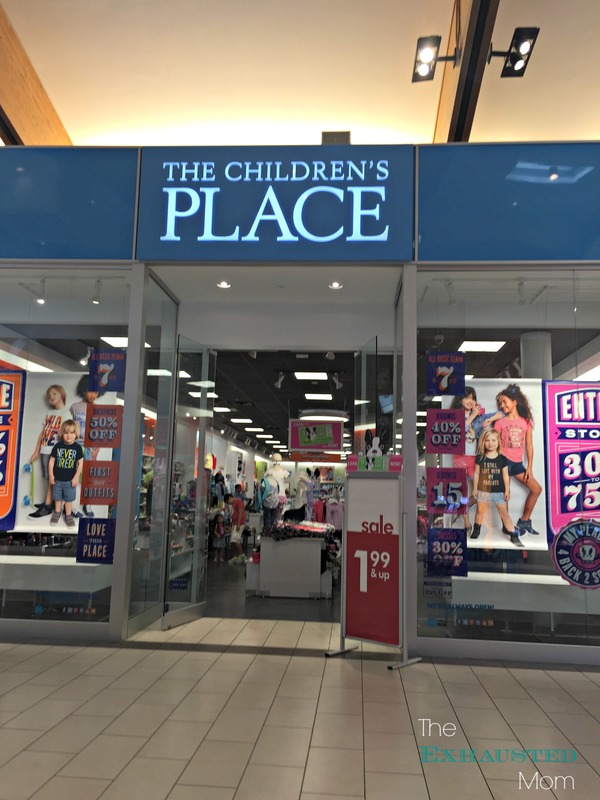 For every $250 you spend in the mall…anywhere in the mall…you earn $10. 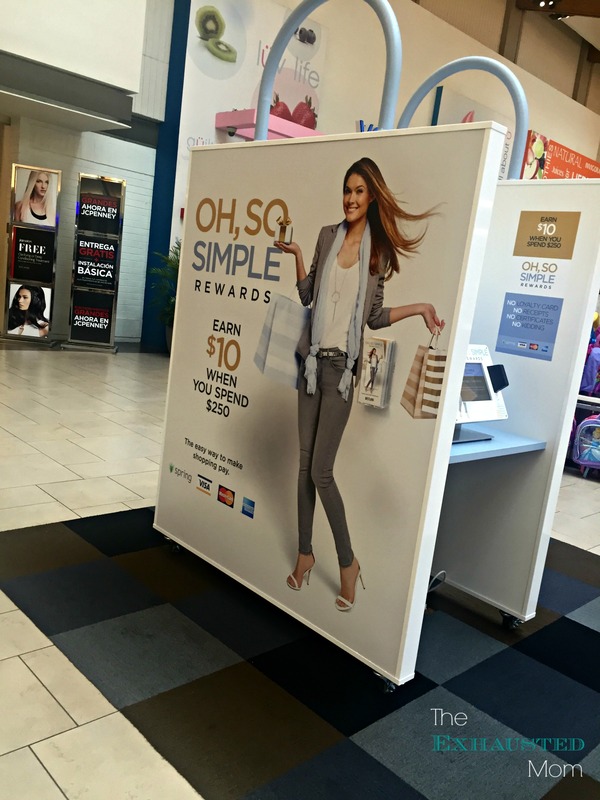 There are easy to use kiosks around the mall where you swipe one of your debit or credit cards and enroll in the program. Then you just go about business as usual at the mall. 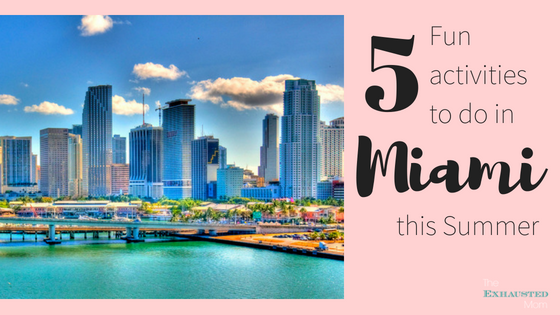 Go shopping, eat in the food court or a restaurant, or see a movie using your enrolled card. Each dollar amount you spend goes toward your $250. The credits are automatically applied to your card. See? SIMPLE! 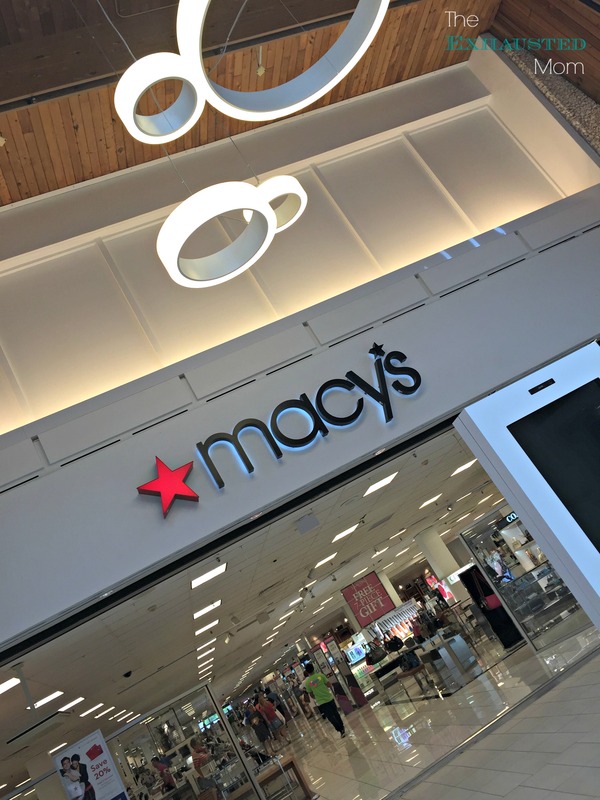 Want to win a $50 gift card to Macy’s for your own shopping? Although I was compensated for shopping at Westland Mall and sharing our experiences, all opinions, successes and eye rolling are all my own! “Let me just say we spent over and hour in Champs alone! Kill me now….” Lol! I’m glad you survived. 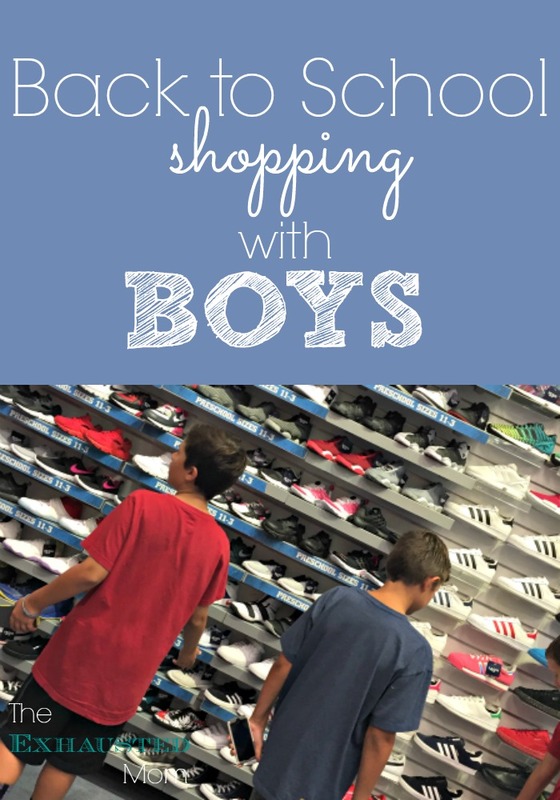 It does look very different to shop with boys. For some reason I have a feeling they are more picky than girls! Love back to school shopping! My oldest is just heading into kindergarten now! Eeek! Good luck to you Kiki! Happy Back to School! You’re too kind giving them three options for sneakers! Great tip on going with a half size up. Boys are always stretching out. Can’t wait for the day ours surpass us in height. And yeah, a little something for mom is must. You worked hard for it! 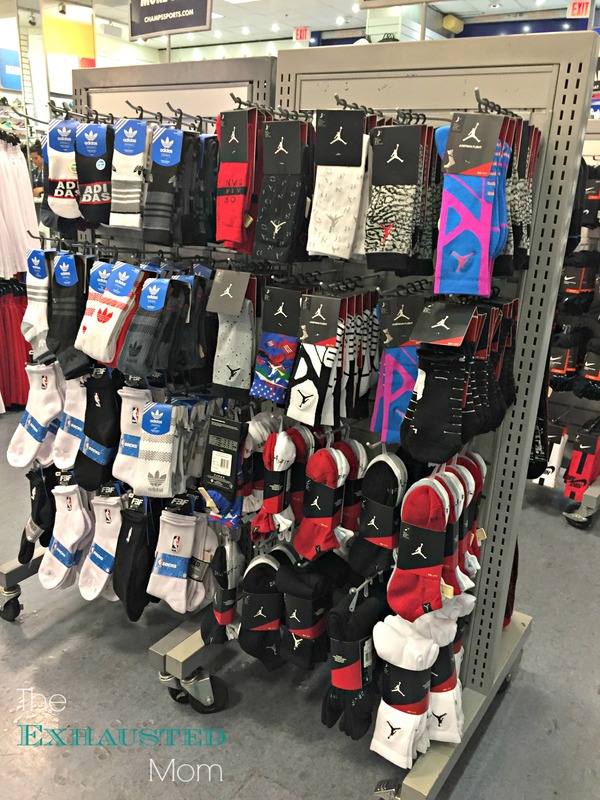 My favorite part of Back to School shopping is when it’s over! Haha! My son could care less! 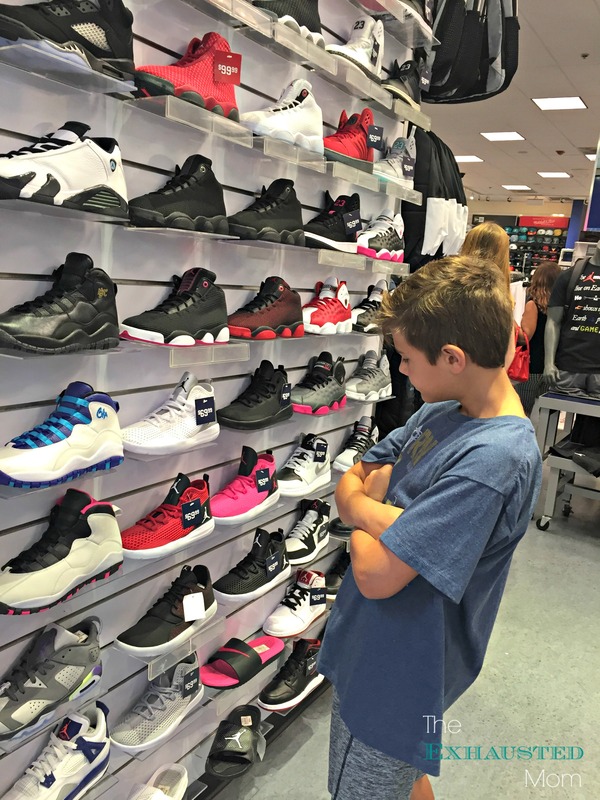 I wish he would look twice at a pair of shoes, let alone 5 times! 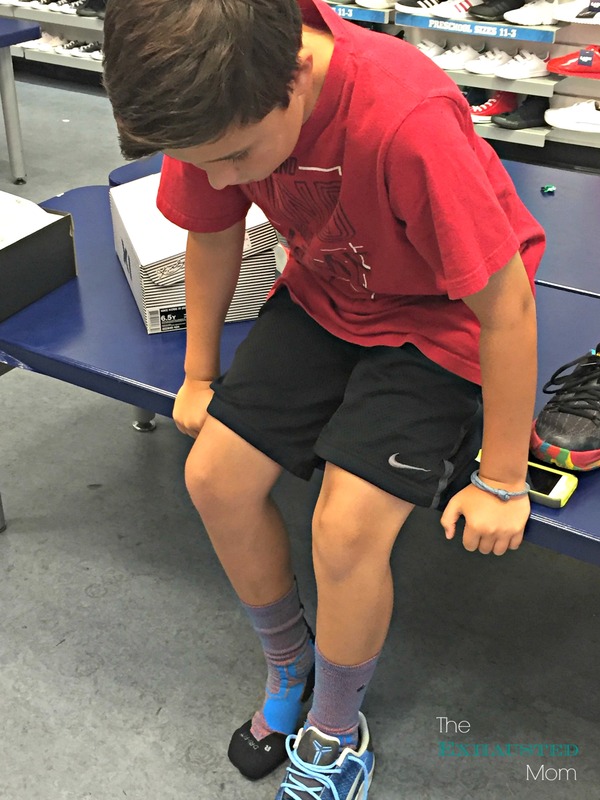 He has to wear a uniform so shoes are the only part of his outfit that can be “cool”…boys! Aren’t they weird Lauren?! LOL! I can’t believe it’s already time for back to school shopping! Your boys are so cute! 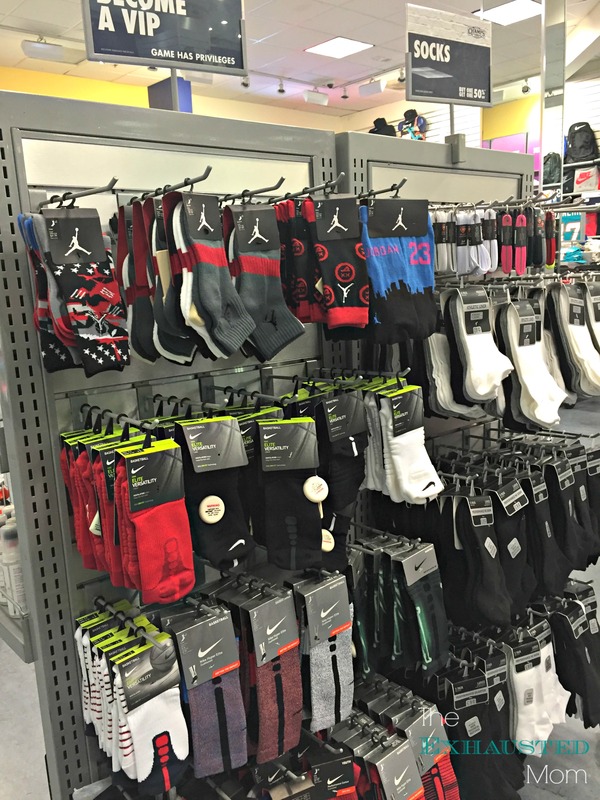 The funny thing it isn’t just boys…apparently it’s coming from the men otherwise it wouldn’t be in the stores! LOL! 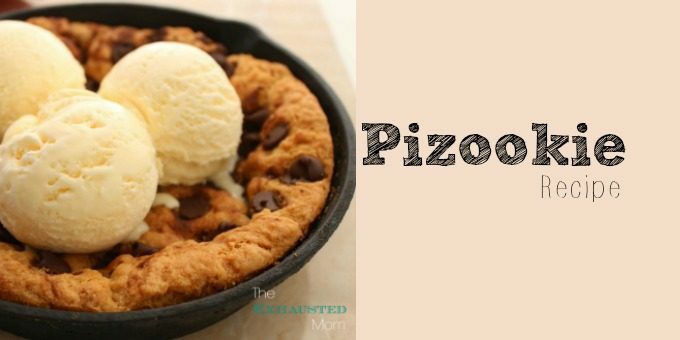 I felt the eye rolling! Where did the baby boys go?? They are tweens now! Good luck on their first day of school– can’t wait to see them in their new duds! Ha! I love this post. 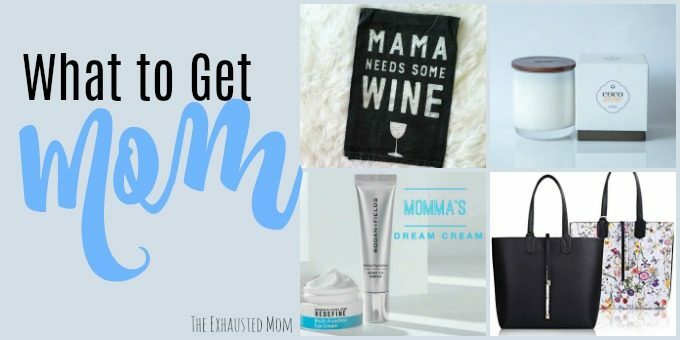 I am also a shopaholic and a boymom. It’s just not fair that the boy departments are about a fourth of the size of girl departments. I do love back-to-school shopping. My boys are still young, so my favorite part is that I still get to pick out all their clothes. I’m sure they will all have opinions next year. Right? So not fair that boy clothes aren’t as cute! Good luck to your boys on their first day of school! I love picking out new kids clothes. It’s fun to me.